ROY SAMUELSON- THE VOICE OF HOLLYWOOD! “I know that voice!” “That voice is so familiar!” Over billions of ears have heard the voice of Roy Samuelson, a leading and well-respected Hollywood Voiceover Artist. For over two decades, his deep, soulful and commanding vocal skills have garnered him incredible success behind the microphone, contributing to literally thousands of vocal promos on Los Angeles’ NPR station KCRW. Video Game credits include Nickelodeon’s TEENAGE MUTANT NINJA TURTLES as ‘Raphael’, XCOM: ENEMY UNKNOWN and FINAL FANTASY: LIGHTNING RETURNS. Notable voiceover television credits include LAST WEEK TONIGHT, LIBRARIANS with John Laroquette and AMERICAN HORROR STORY opposite Jessica Lange. In other television and film projects, he often provides voice matches for top Hollywood stars. Commercially, Samuelson has voiced Intel Tags during the Super Bowl and the Academy Awards. Major brands work includes QUAKER, STATE FARM, DIRECT TV, FORD, TARGET, multiple spots for MCDONALDS and countless more. With vocal gifts only a select few possess, he can easily adjust the purpose of his voice – in STAND UP TO CANCER campaigns, he sounds like the warm voice of reason. For RENT A CENTER, he is your best friend. For SKETCHERS, he is your father. Currently, Samuelson is gaining critical praise and garnering much work in the ever-growing area of Descriptive Narration. Descriptive Narration makes television programs, movies and other visual media accessible to people who are blind and visually impaired. The narrator provides descriptions of key elements without interfering with the audio or dialogue of a program or movie. There is now a push in the entertainment industry to market Descriptive Narration outside of the visually impaired community where fans can listen to their favorite films and television, much like listening to books on tape. Samuelson is leading the charge of this emerging concept. To date, he has recorded narration for over 150 network television episodes and countless dozens of blockbuster films. Samuelson’s impressive resume of Descriptive Narration includes blockbuster features like Venom, First Man, Get Out, Jurassic World: Fallen Kingdom, Spiderman: Homecoming, Skyscraper, Equalizer 2, SuperFly, Pacific Rim, Uprising, Insidious: The Last Key, The Mummy, The Hateful Eight, Baby Driver, Fate of the Furious, Atomic Blonde, Krampus, Steve Jobs, Everest, Siniser 2, Jason Bourne, FURY and the IMAX features Backyard Wilderness, Earthflight and Beautiful Planet. He has also lent his vocal skills to the narration for such popular television programs as Criminal Minds, NCIS, Lethal Weapon, BLUE BLOODS and more. Roy Samuelson may not be a name and face whose is easily recognized outside of the Hollywood entertainment industry but his voice is one that most people have heard over and over. 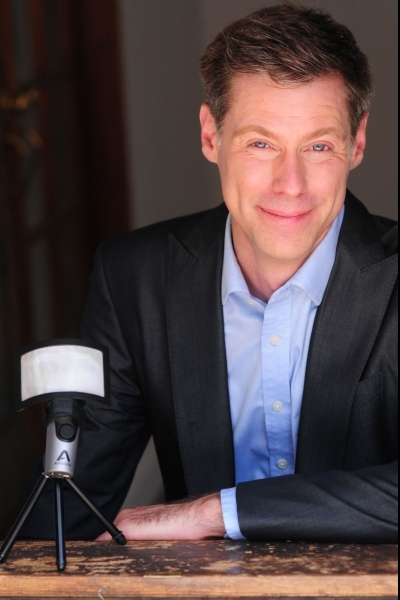 Whether narrating for the visually impaired for a film or series, delivering promos on the radio, adding his voice to scenes on your favorite program, Samuelson’s talent embodies the pinnacle of success in the Hollywood world of voiceover artists.